Companies (Mediation And Conciliation) Rules, 2016 – “Giant Leap” Or “Achilles Heel” For Mediation In India? Section 442 of The Companies Act, 2013 requires the Central Government to maintain a panel of experts to be called as the Mediation and Conciliation Panel.The panel is for mediation between the parties during the pendency of any proceedings before the Central Government or NCLT or NCLAT. 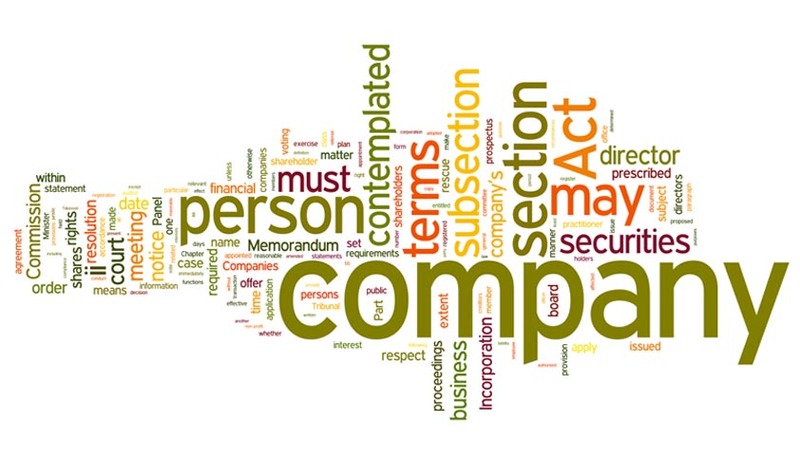 Section 442 was enforced with effect from 01.04.2014.The Central Government has accordingly made Companies (Mediation and Conciliation) Rules, 2016 dated 09.09.2016 (“Companies Rules”). This small step could be the proverbial “Giant Leap” for mediation in India as it could make mediation the chosen alternative dispute resolution (“ADR”) mechanism, especially in the context of commercial disputes. However, the overall scheme of Companies Rules seems to be blurring the line of distinction between “mediation” and “conciliation”.As much as internationally there seems to be a consensus that there is no distinction between “mediation” and “conciliation”; Indian lawin general seems to be suggesting otherwise. Would that make Companies Rules the proverbial “Achilles Heel” for mediation in India? The role of a mediator and a conciliator can never be the same. As ADR processes, “conciliation” and “mediation” are fundamentally different. Before delving into various statutes and judgments, let us take a look at the key differences between conciliation and mediation in India, as based on the present legal position. For reference to conciliation, consent of all parties is required. For reference to mediation, consent of all parties is not required. Settlement by conciliation means the process by which a conciliator who is appointed by parties or by the court, as the case may be, conciliates the dispute between the parties to the suit by the application of the provisions of The Arbitration and Conciliation Act, 1996 insofar as they relate to conciliation. Settlement by mediation means the process by which a mediator appointed by parties or by the court, as the case may be, mediates the dispute between the parties to the suit by the application of the provisions of rules made by High Courts, in relation to mediation. A conciliator, in exercise of his powers under Sections 67 and 73 of The Arbitration and Conciliation Act, 1996 makes proposals for a settlement of the dispute by formulating or reformulating the terms of a possible settlement. A mediator facilitates discussion between the parties directly or by communicating with each other through the mediator, by assisting parties in identifying issues, reducing misunderstandings, clarifying priorities, exploring areas of compromise, generating options in an attempt to solve the dispute and emphasising that it is the parties’ own responsibility for making decisions which affect them. A conciliator’s role is greater than that of a mediator. A mediator’s role is lesser than that of a conciliator. Now we will analyse the law of mediation in India, with a view to examine as to whether Companies Rulesare in line with the same. Section 30 of The Arbitration and Conciliation Act, 1996 (“1996 Act”) provides that it is not incompatible with an arbitration agreement for an arbitral tribunal to encourage settlement of the dispute and, with the agreement of the parties, the arbitral tribunal may use mediation, conciliation or other procedures at any time during the arbitral proceedings to encourage settlement. The said provision refers to “mediation” as well as “conciliation”. On the face of it, it appears that 1996 Act does not intend to use “mediation” and “conciliation” interchangeably. In fact, 1996 Act has an entire part dedicated to conciliation i.e., Part III, which is on the lines of United Nations Commission on International Trade Law (“UNCITRAL”) Conciliation Rules (1980). Pertinently, UNCITRAL Conciliation Rules (1980) make no reference to mediation. On the face of it, it appears that 1996 Act does not apply to mediation. Whereas, Companies Rules seem to be using “mediation” and “conciliation” interchangeably. It appears that Companies Rulesendeavour to create a parallel conciliation machinery which is outside the scope of 1996 Act, as it envisages conciliation of disputes with no reference or regard to 1996 Act. Section 89 of CPC refers to “mediation” as well as “conciliation”. On the face of it, it appears that CPC does not intend to use “mediation” and “conciliation” interchangeably. In terms of Section 89(2)(a) of CPC, where a dispute has been referred for arbitration or conciliation, the provisions of 1996 Act shall apply as if the proceedings for arbitration or conciliation were referred for settlement under the provisions of 1996 Act. It follows as a logical corollary that conciliation shall be governed by 1996 Act. In terms of Section 89(2)(d) of CPC, where a dispute has been referred for mediation, the court shall effect a compromise between the parties and shall follow such procedure as may be prescribed. On the face of it, it appears that where a dispute has been referred for mediation, what the court is required to do is to effect a compromise between the parties and in doing so, it shall follow such procedure as may be prescribed. On the other hand, Companies Rules seem to be using “mediation” and “conciliation” interchangeably, while ensuring that conciliation is kept outside the purview of 1996 Act and subjected to a body of law which is separate and distinct from 1996 Act i.e., Companies Rules. As mentioned earlier, some amendments were made to CPC, including the insertion of Section 89. The constitutional validity of the said amendments was challenged. The said challenge was rejected by Supreme Court vide its judgment in Salem Advocate Bar Association, T.N. versus Union of India (“Salem I”). However, it was noticed by Supreme Court in Salem I that modalities have to be formulated for the manner in which inter alia Section 89 of CPC may have to be operated. For this purpose, a committee headed by a former judge of Supreme Court and then Chairman, Law Commission of India, Justice M. Jagannadha Rao (“Committee”) was constituted so as to ensure that the said amendments become effective and result in quicker dispensation of justice. It was also observed in Salem I that Committee may consider devising inter alia rules and regulations which should be followed while taking recourse to the ADR mechanisms referred to in Section 89 of CPC. It was observed in Salem IIthat the model rules (devised by Committee), with or without modification, which are formulated may be adopted by the High Courts concerned for giving effect to Section 89(2)(d) of CPC. Surprisingly, Companies Rules deviate from the position which has received Supreme Court’s seal of approval, by placing mediation and conciliation on the same footing. The draft rules made by Committee were circulated to High Courts, subordinate courts, Bar Council of India, State Bar Councils and Bar Associations, seeking their responses. Subsequently, the draft rules were finalised by Committee.Civil Procedure Alternative Dispute Resolution and Mediation Rules, 2003 (“ADR Rules”) are the final rules framed by Committee, in modification of the draft rules circulated earlier after considering the responses from various stakeholders.In para. 64 of Salem II, Supreme Court directed that it is for the respective High Courts to take appropriate steps for making rules in exercise of rule-making power subject to modifications, if any, which may be considered relevant. Companies Rules are, to a great extent modelled on the lines of ADR Rules. Part II of ADR Rules is titled Civil Procedure Mediation Rules (“Mediation Rules”). ADR Rules have been adopted by various High Courts, with some or nil modification in exercise of the rule-making power under Part X of CPC and Section 89(2)(d) of CPC. ADR Rulesare not legislative in nature. It is a framework designed by Committee in its report. Pertinently, ADR Rules make it very clear that the role of a conciliator is greater than that of a mediator (ADR Rules, Rule 4(v)). “Settlement by ‘conciliation’ means the process by which a conciliator who is appointed by parties or by the court, as the case may be, conciliates the dispute between the parties to the suit by the application of the provisions of 1996 Act insofar as they relate to conciliation, and in particular, in exercise of his powers under Sections 67 and 73 of 1996 Act, by making proposals for a settlement of the dispute and by formulating or reformulating the terms of a possible settlement; and has a greater role than a mediator. Companies Rules is not consistent with the legal position that as processes, mediation and conciliation are fundamentally different, because the role of a conciliator is more than that of a mediator. As mentioned earlier, in Salem II, Supreme Court accepted the definition of “mediation” contained in ADR Rules, as much as the said definition is radically different from what is prescribed by Section 89(2)(d) of CPC. (i) In Afcons, Supreme Court interchanged the word “mediation” in Section 89(2)(d) of CPC with the words “judicial settlement” in Section 89(2)(c) of CPC, to correct the draftsman’s error in Section 89 of CPC. The said position emerges from paras. 13 and 25 of Afcons. Section 89(2)(c) – Where a dispute has been referred for mediation, the court shall refer the same to a suitable institution or person and such institution or person shall be deemed to be a LokAdalat and all the provisions of The Legal Services Authorities Act, 1987 (“LSA”) shall apply as if the dispute were referred to a LokAdalat under the provisions of LSA. Section 89(2)(d) – Where a dispute has been referred for judicial settlement, the court shall effect a compromise between the parties and shall follow such procedure as may be prescribed. If “mediation” and “conciliation” were to be read synonymously, then, a conciliator shall be deemed to be a LokAdalat and all the provisions of LSA shall apply as if the dispute were referred to a LokAdalat under the provisions of LSA. That can never be the case because Part III of 1996 Act comprehensively covers “conciliation”. Para. 25 of Afcons makes it very clear that the said changes shall remain in force till the legislature corrects the mistakes, so that Section 89 of CPC is not rendered meaningless and infructuous.Till date the legislature has not corrected the mistakes. (iii) Para. 29 of Afcons is to the effect that Section 89 of CPC makes it clear that arbitration and conciliation will be governed by 1996 Act, LokAdalat settlement and mediation will be governed by LSA and judicial settlement will not be governed by any enactment and the court will follow such procedure as may be prescribed by appropriate rules. In the said para., Supreme Court has said in as many words that conciliation will be governed by 1996 Act and mediation will be governed by LSA. Therefore, there exists no scope to deduce that “mediation” is synonymousto “conciliation”. (iv) As per para. 36 of Afcons, arbitration or conciliationrequire consent of all parties. The said para. makes it rather clear that if the parties arenot agreeable to arbitration or conciliation, the court has to consider which of the other three ADR processes (LokAdalat, mediation and judicial settlement) which do not require the consent of parties for reference, is suitable and appropriate, and refer the parties to such ADR process. The said para. also clarifies that if the suit is complicated or lengthy, mediation will be the recognised choice. This para. makes it very clear that reference to conciliation requires consent of all parties, whereas, reference to mediation does not require consent of all parties. Thus, there is no question of using “mediation” and “conciliation” synonymously. (v) In para. 38 of Afcons, Supreme Court has reaffirmed that when a matter is settled through conciliation, the settlement agreement is enforceable as if it is a decree of the court having regard to Section 74 read with Section 30 of 1996 Act.However, it is clarified that though the settlement agreement in a conciliation may not require the seal of approval of the court for its enforcement when itis made in a direct reference by the parties without the intervention of the court, the position will be different if it is made on a reference by a court in a pending suit/proceedings.The said para. is also to the effect that as the court continues to retain control and jurisdiction over the cases which it refers to conciliation, the settlement agreement in conciliation award will have to be placed before the court for recording it and disposal in its terms. (vi) Interestingly, para. 39 of Afcons provides that where the reference is to a neutral party i.e., mediation on a court reference, though it will be deemed to be a reference to LokAdalat, as the court retains its control and jurisdiction over the matter, the mediation settlement will have to be placed before the court for recording the settlement and disposal. (vii) Para. 40 of Afcons provides that whenever such settlements reached before non-adjudicatory ADR fora are placed before the court, the court should apply the principles of Order XXIII Rule 3 of CPC and make a decree/order in terms of the settlement, in regard to the subject-matter of the suit/proceeding, the court will have to direct that the settlement shall be governed by Section 74 of 1996 Act (in respect of conciliation settlements) or Section 21 of LSA (in respect of settlements by a LokAdalat or a mediator). Very crucially, the said para. provides that only then such settlements will be effective. Paras. 38 to 40 of Afcons clearly distinguish between a settlement arrived at by way of conciliation and a settlement arrived at by way of mediation. Therefore, “mediation” and “conciliation” cannot be used synonymously. Thus, it is as clear as daylight that Afcons does not render “mediation” as a synonym to“conciliation”. Companies Rules seems to be ignoring all these key features of mediation, which have received Supreme Court’s stamp of approval in Afcons. A lot has transpired after adoption of UNCITRAL Conciliation Rules (1980), which inspired 1996 Act to the extent of conciliation. The most significant being adoption of UNCITRAL Model Law on International Commercial Conciliation (2002). Article 1(3) of UNCITRAL Model Law on International Commercial Conciliation (2002) makes it very clear that for the purpose of the said model law, “conciliation” means a process, whether referred to by the expression conciliation, mediation or an expression of similar import, whereby parties request a third person or persons (“the conciliator”) to assist them in their attempt to reach an amicable settlement of their dispute arising out of or relating to a contractual or other legal relationship. The said definition makes it very clear that the conciliator does not have the authority to impose upon the parties a solution to the dispute. At its forty-seventh session, in 2014, UNCITRAL agreed that the Working Group should consider at its sixty-second session the issue of enforcement of settlement agreements resulting from international commercial conciliation. It was also agreed that the Working Group should report to UNCITRAL at its forty-eighth session, in 2015, on the feasibility and possible form of work in that area. UNCITRAL invited delegations to provide information to the Secretariat in respect of that subject-matter (Official Records of the General Assembly, Sixty-ninth session, Supplement No. 17 (A/69/17), para. 129). For the preparation of possible future work on the matter, and to facilitate the collection of information by delegations, the Secretariat circulated to States a questionnaire, reproduced in section II of document A/CN.9/846. For the preparation of possible future work on the matter, and to facilitate the collection of information by delegations, the Secretariat circulated to States the before mentioned questionnaire, and, India’s responses to the questions are noteworthy. The first question was regarding the legislative framework. India’s response to the said question makes it very clear that as per Indian domestic law, the terms “mediation” and “conciliation” are not used as synonym to each other.In its response, India also clarified that there is no specific law dealing with “mediation” except that it has been referred to in Section 89 of CPC. Pertinently, these responses were given by India on 14.07.2015, whereas 1996 Act was amended on 31.12.2015, with effect from 23.10.2015. Irrespective of the said amendment which in any case doesn’t touch upon conciliation, it is clear that it is India’s stand that as per Indian statutory law, the terms “mediation” and “conciliation” cannot be used synonymously. Companies Rules is at stark variance with the said stand. The entire process of mediation in India is governed by the rules made by High Courts in exercise of their rule-making power subject to modifications, if any, which may be considered relevant to ADR Rules and Mediation Rules as well as the manuals of procedure for ADR. In terms of para. 39 of Afcons, where a dispute is referred for mediation by the court, it will be deemed to be a reference to LokAdalat.However, as the court retains its control and jurisdiction over the matter, the mediation settlement will have to be placed before the court for recording the settlement and disposal. Para. 40 of Afcons stipulates that whenever such settlements reached before a mediator are placed before the court, the court should apply the principles of Order XXIII Rule 3 of CPC and make a decree/order in terms of the settlement, in regard to the subject-matter of the suit/proceedings. The court will have to direct that such a settlement shall be governed by Section 21 of LSA. Companies Rules are diametrically opposite to the prevalent Indian legal position as well as India’s stand before UNCITRAL’s Working Group. It can probably be said that Companies Rules is an effort to attune mediation in India with the international position, which indeed would be a welcome step. However, reconciling Companies Rules with the prevalent Indian legal position appears to be difficult. Arjun Natarajan is a commercial litigator with focus on the broadcasting sector. He is certified to be a mediator by Indian Institute of Corporate Affairs under the aegis of Ministry of Corporate Affairs.